When you are out hunting in the wilderness, your eyes are one of your most valuable tools. Unfortunately, weather conditions and distance can make the hunt difficult. 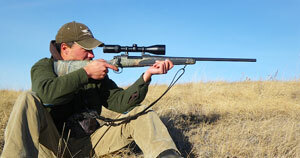 To improve accuracy, hunters should invest in a quality scope for their rifle. Scopes can give you a huge advantage while hunting. Not only will it allow you to spot and track your game, but you’ll also have an advantage over other hunters. Essentially, a scope is the eyes of your rifle. It allows you to see past great distances, improving your accuracy regardless of weather conditions. While most don’t realize it, hunting is not an easy sport. It requires a great deal of skill, patience, and instinct. In many cases, it takes hours to just spot your target. When you’ve finally got that target in your eye line, you have one shot with little room for error. With a great scope, you’ll be able to see success with a single shot. Scopes are one of the most valuable hunting tools out there, so it is important to choose one that will work with your needs. While it may seem daunting at first, finding the right scope for your rifle is all about understanding why you need it and how you’ll use it. Most often, price directly affects quality. Because a scope is one of the most vital hunting tools available, it’s always good to get a high quality model that doesn’t compromise on the build and optical quality. 1. 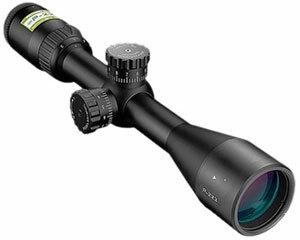 Nikon P-233 BDC 600 Riflescope with Rapid Action Turret. Why Get A Rifle Scope? The main goal of a rifle scope is to improve accuracy and vision by magnifying a target. Whether you are hunting animals or just target shooting, scopes will improve your aim and make every shot count. When you are hunting, every shot matters. There is little room for error after you’ve finally spotted your game. Game animals often stay on the move, requiring hunters to think and shoot rapidly. With a scope, you’ll be able to see your target and the surrounding area clearly. This will help you shoot effectively and safely. If you are a sport shooter, rifle scopes are still beneficial. Regardless of the target, a scope will provide you with a clear image of the bullet’s point of impact. With a high quality scope, you can zoom in to see precisely where you are shooting. It will improve your aim and accuracy despite your location. 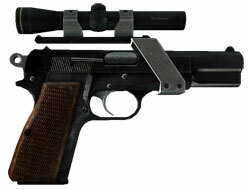 Sport shooters will often use a scope both on the field and in a range. While it is something most people don’t want to think about, a rifle can be used to protect yourself and your family. A rifle scope can help you spot and watch an intruder while you wait for law enforcement to arrive. Should you need to defend yourself, a scope will give you the upper hand. You’ll be able to get a detailed look at your assailant from great distances to non-fatally shoot them before police arrives. It’ll also help to ensure that you are targeting the assailant rather than family members. Scopes have been used since the 17th century. However, technology is constantly improving and evolving. Modern scopes are more powerful and effective than ever before. If you own an older rifle scope, it may be time for an upgrade. Today’s rifle scopes have a better build, better optical components, and a lower price. You can bring new life to an old gun with a new scope. When handling a gun, it is always recommended to do a bit of target practice. This helps new shooters better understand the mechanics of the gun and the effects of each shot. Not only that, but target practice tends to lead to safer shooting. With a great rifle scope, shooters can hone in on a target and see exactly how their shot will affect it. Scopes with crosshairs and guidelines will ultimately improve shooting without it. If you are training for a game hunt, you can use a scope to study the effects of impact on certain parts of the game animal’s body. If you own a rifle, you’ve probably been on the hunt for a scope at some point. During your search, you may have noticed that there are a few different types of scopes available. Not all scopes are made the same. Essentially, the type of scope you get depends on the gun you own, the type of shooting you’ll be doing, and the features you need. While it may seem confusing at first, you can easily figure out what type of scope you need by understanding the different types available. These rifle scopes are a great option for those who don’t want to lug around a lot of extra weight on their hunt. They are much lighter compared to other scopes available. This is due to their smaller footprint. Many models measure less than 9 inches in the length. However, the small size of these scopes does not affect their efficiency. They still provide shooters with a great deal of magnification. These scopes also tend to be a bit more versatile. They can be used on mini-rifles and hand guns to improve accuracy. Because of their light weight, some hunters will also have multiple compact rifle scopes that they can switch out depending on their optical needs. These scopes are designed to fit on hand guns. Sharp shooting enthusiasts often use them to improve their accuracy. However, they can also be fitted on guns that are merely used for protection. Either way, these scopes can enhance the shooting experience and dramatically increase your precision with a hand gun.In terms of magnification, these scopes have low power. In close range setting, this is often recommended. They are not made for shooting from great distances, but rather improving the precision of shooting from short distances. Some even have optical enhancement features that improve vision with close range shooting. 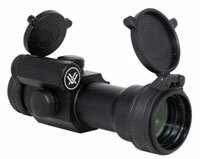 As the name implies, these scopes are made to shoot targets from a great distance without being detected. They are often larger in size, but have an incredibly high power of magnification. Essentially, these scopes are specialized telescopes. They are fitted with sophisticated technology that helps you account for the unknown. The scope lays a targeting reticule over the optical image to improve your precision. It also helps you to plan for environmental variables that may affect your shot.Overall, these scopes are designed to help you get a great shot without having to be close to the target. These scopes are a unique option for shooters. In addition to its magnification, the scope actually uses an undetectable laser that measures the distance between you and the target. It eliminates that unknown variable by providing you with an accurate measurement. You’ll know the shot distance instantly, allowing you to make informed decisions about your approach. Or, you could use that distance to brag once you’ve shot your target. Choosing the right rifle scope can be a bit overwhelming. There are a number of things to consider. While many hunters will often recommend that you purchase a scope that is half the cost of the rifle, this old adage doesn’t really apply to modern scopes. Today’s hunters and sport shooters should choose a high quality rifle scope that will work for their needs. To pick the right scope, you should understand the terminology and ask yourself a few key questions. What Will The Scope Be Used For? This is one of the first questions you should ask yourself. The applications of the scope can help you determine where to begin your search. You may even find that you do not need a scope at all. 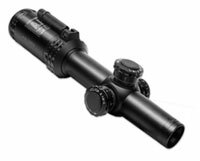 If you plan on doing a bit of hunting or want to enhance your rifle for protection, then you should get a scope. However, if you plan on doing simple target practice in a small range, then you don’t really need one. You should also consider the distances in which you will be shooting. Will you be shooting targets positioned fairly distant from you? If so, hunting and targeting scopes are a great place to start. If you plan on only doing short range shooting, tactical scopes will be beneficial due to their light weight and low magnification level. Magnification range should be one of the first things you look at. After all, the main purpose of a scope is to improve accuracy by magnifying your target. The magnification power is represented by a number followed by an “x.” For example, 2x and 4x are common low power magnification levels. Essentially, these numbers represent how many times the image is multiplied. In 2x, the image is doubled. In 4x, it is quadrupled. 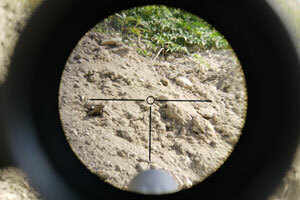 Magnification level should be decided upon based on the target. When it comes to magnification, scopes can either be fixed or variable. Fixed rifle scopes have a single level of magnification that cannot be changed. Variable rifle scopes can be adjusted based on the target. They are more versatile, but can be difficult to get used to if you are unfamiliar with scopes. The magnification range is represented by two levels and the objective lens diameter. For example, 5-12×42 has a magnification range of 5x to 12x and an objective lens diameter of 42 millimeters. The size of the objective lens, sometimes called the exit lens, determines how much light enters the lens. Larger lenses provide more light for you to see your target, which is beneficial in darker environments. Light transmission refers to the amount of usable light that passes through the rifle scope. There are many factors that can affect the light transmission. The type of glass used in the scope, coating of the lens, and the effective uses of the scope can all have an effect. Light transmission is represented as a percentage. The higher the percentage, the better the scope. In most instances, a higher percentage comes at a premium price. The highest percentage achievable, theoretically, is 98%. However, most scopes have around 90% light transmission with premium scopes having 94% or higher. Eye relief is the distance that you can have your eye from the scope while still having a clear image. If you go beyond this distance, the image will begin to darken around the edges. 3.5 inches or more is a common eye relief distance. This measurement is important in avoiding injury. Because guns have recoil, you cannot place your eye directly onto the scope. In most cases, higher magnification levels have lesser eye relief. Parallax errors are a common occurrence among rifle scopes with a magnification level of 10x or more. If you end up getting a scope with something less, you may not experience parallax at all. Parallax refers to the point inside the reticle’s position where the target appears at different ranges. You’ll notice the parallax when you move your eye. The target may move within the crosshairs. This can ultimately affect your shot. Some lenses are parallax free, making the target stay within the crosshairs despite the position of your eye. Others have an adjustment that allows you to move the parallax to a specific range and magnification level. The field of view is the horizontal distance that can be viewed from 100 yards. Scopes have a fixed field of view, so it is important to choose a scope that accommodates the target. For example, some game targets stay relatively still, allowing you to get a scope with a lower field of view. As you go up in magnification level, the field of view will decrease. If you plan on hunting in the wilderness, turret adjustments will help you get a precise shot despite the weather conditions. While most don’t realize it, the wind has a huge effect on the trajectory of a bullet. To overcome this variable, you can adjust the turrets. These knobs are found on the exterior of the rifle scope. They affect the center of the scope and where the bullet will impact. The turret knobs adjust in 1/4 minute of angle increments. This refers to how the bullet will travel per 100 yards. 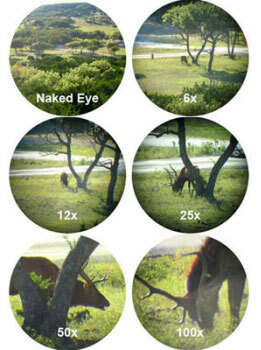 The quality of the lenses can have a huge effect on the overall efficiency of the scope. These curved pieces of glass aid in magnification. 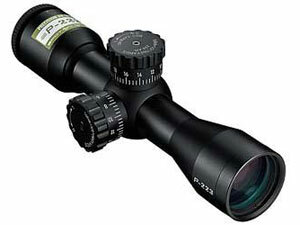 The quality and number of lenses used in a rifle scope depend on the manufacturer. It is important to scrutinize lenses on a scope to ensure that you get a high quality product. There are a number of lens coatings that can ultimately affect the optical quality of a scope. Many scopes have lenses coated to reduce glare. These lenses minimize the reflected light to produce a clearer image. This affects the contrast and brightness of the image you end up seeing. In the wilderness, hunters are often exposed to rapid temperature and humidity changes. This can cause lenses to fog up, affecting their clarity. To overcome this, most modern scope manufacturers make their scopes fog and waterproof. To achieve this, the inside of the scope is filled with nitrogen or argon gas. The scope is further sealed to prevent water from entering the scope. Reticles are designed to improve aim. 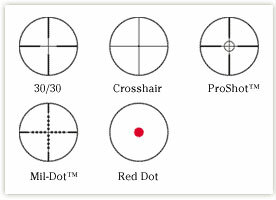 Most often, scopes have simple reticles that consist of crosshairs. However, others have more complex designs to overcome a number of variables. Some have grids for distant shooting while others have smaller lines to overcome bullet drop. Shooters should choose a scope with a reticle that works for their needs. Unfortunately, most of use aren’t made of money and have to buy a scope with finances in mind. 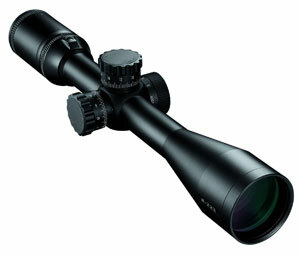 In addition to the specifications the scope, the brand and price can have a huge effect on the quality of the scope. In most cases, you’ll have to spend a bit more money to get a reliable scope that lasts. A cheaper scope will most likely provide you with lackluster performance. There are a number of great scopes out there varying in price and quality. While there are many amazing rifle scopes priced above the $200 price point, most of us can’t afford to spend that much. 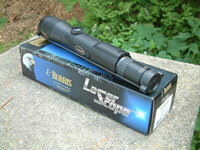 If you are looking for a great quality scope without breaking the bank, these scopes will surely get the job done. 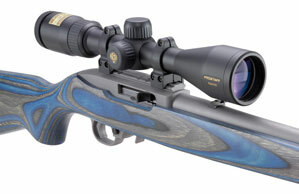 This rifle scope is one of the most popular options among hunters. It is moderately priced,($178,42) yet still provides you with great features. One of the greatest things about this rifle scope is its image clarity and brightness. It has lenses coated multiple times, achieving 98% light transmission. This is, theoretically, the highest light transmission level possible. You will be able to use this scope in all lighting conditions. In terms of magnification range, this scope doesn’t have the highest power out there. It is a great option for those who feel that 12x magnification is too much. This moderate magnification power coupled with a smaller objective lens diameter actually helps produce a high resolution image. 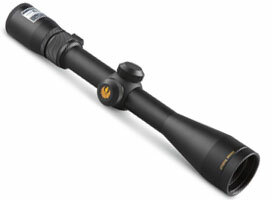 Overall, this rifle scope is a great tool for hunters. It allows you to hone in on your target with increased clarity in any lighting condition. With its low price tag, it is a popular choice among hunters everywhere. This rifle scope is very similar to the previous Nikon scope. 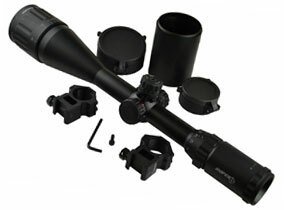 It has the same 40 millimeter objective lens diameter, maximum magnification level of 9x, and light transmission of 98%. The difference with this scope is that is was designed for long distance shooting without the need of turret adjustments. The scope has the BDC 600 reticle. It is a specially designed bullet drop compensation reticle that is effective for distances up to 600 yards. It consists of an open circle for aiming and hash marks from 100 to 600 yards. Unlike other reticles, this one is fairly easy to understand and get used to. It can easily zero in windy conditions, allowing you to focus more on your target. This Nikon scope is very user-friendly. There are multiple features that make this scope a prime choice for any shooter. In addition to its unique reticle, there is a zero-reset turret system. This allows you to make field adjustments quickly by maintaining your settings. There is even a feature that eliminates parallax, allowing you to make precise shots from great distances. This scope provides a lot of control for shooters. It has a compact design that can be used for tactical rifles, yet enough magnification power to be used on sniper rifles as well. 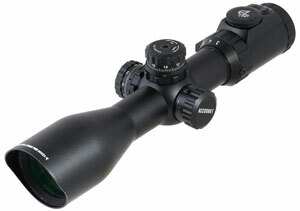 With a maximum magnification level of 12x, this scope allows you to view your target from an incredibly far distance. One unique feature of this scope is the color-changing reticle. The reticle changes color depending on the distance of your target. Instead of using a rangefinder or performing multiple test shots to determine distance, you can make informed decisions about your shot by studying the color of the reticle. There are multiple knobs for adjustment on the scope. There are 3 knobs for easy turret adjustments as well as a parallax knob. Overall, this scope is a great option for those who want control. Properly mounting your rifle scope is very important. Not all scopes mount the same way. If you’ve never mounted a scope before, it is recommended to go to a professional. An improperly mounted scope will affect your aim and can even cause injury with recoil. As a rule of thumb, scopes should only touch your rifle where the rings are. The scope-to-ring fit and alignment is an important part of mounting. A proper fit and alignment will give you the best performance. Aligning the rings is a crucial first step in mounting. You may need to rotate the rings to ensure that the scope lines up with the barrel. This should be done with a wooden dowel or metal rod, never with the scope. One of the biggest mistakes shooters can make is using the scope to rotate the rings for alignment. 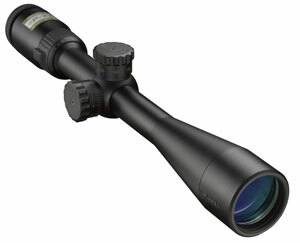 Scopes are predominantly made from thin aluminum. While some scopes are made from stronger metals, the force needed to rotate and align rings is strong. Scopes are not designed to withstand this force and will easily break. The damage often goes unnoticed at first. However, it will become evident once you start using it. The lenses will become distorted, gears will get loose, reticles will break, zoom mechanisms will malfunction, and many other issues will arise. There are a couple of different types of mounting rings. They are often referred to as “twist-in” and “non-twist” styles. It is important to install these rings on your gun appropriately by following included instruction. Because every gun is different, you may find that the instruction don’t work with your gun. To overcome this, take your gun and scope to a professional and learn how to align the rings before you end up damaging the scope. While most scopes have a set of directions to give shooters a better understanding on how to mount and use their new scope, there are a few things to be aware of. Never put your eye against the scope unless you have a gun with gas blow back. The scope can hit and damage your eye during recoil. There is no need to use scopes on an Airsoft gun. Scopes are designed to be effective on real rifles only. 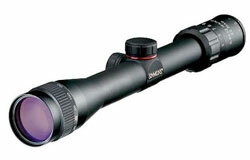 You should get a scope with a magnification level that works with your target. For example, a 3-9x is standard for deer due to their larger size. Smaller targets, such as prairie dogs, need a higher range like 8-25x. Hand guns do not need a high level of magnification. Scopes of 2x are most common for this purpose. All in all, finding the right rifle scope is not an easy process. To make the most out your shooting experience, you must choose a scope that works with your needs. While it may seem daunting at first, all you need is the right information to choose the best rifle scope for your shooting. With application, specifications, and price in mind, you can surely find a scope that you’ll be using for years to come.